LOS ANGELES, April 22, 2011 -- Northrop Grumman Foundation has announced the scholarship recipients of its Earthwatch Educator Program, an innovative environmental education program for teachers across the country. Eighteen educators from 10 states have been selected to participate in an Earthwatch expedition focused on climate change or oceans preservation. The teachers will transfer their experiences to their classrooms and share them with students, year after year. "Helping to provide teachers real-world experience is one of the ways that we can spark student interest in science, technology, engineering and mathematic careers," said Sandra Evers-Manly, president of the Northrop Grumman Foundation. "We are proud to partner with Earthwatch and to mark Earth Day with the announcement of our 2011 participants in this educator program." 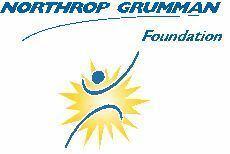 The Northrop Grumman Foundation partnered with Earthwatch Institute to develop two expeditions that will provide educators with a hands-on, immersive professional development opportunity. The teachers then share their experience with their students—yielding a positive impact on the students' understanding of math and science, and helping to inspire the next generation of environmental ambassadors. Ten of the teacher awardees have been assigned to an expedition that will help preserve the coastal ecology of the Bahamas. Twelve others will join an expedition to monitor climate change at the edge of the Arctic. The Bahamas expedition teams will focus on research sites at the archipelago's southern islands of Long Island, Great Exuma and Great Inagua. The Arctic project will take teachers to Churchill, Canada, on the coast of the Hudson Bay near the geographical center of the North American continent. The scholarship recipients were selected through a competitive application process. All middle school teachers from respective communities were eligible to apply. The applicant's geographic region, potential contribution to the research, and follow-up curriculum plans were all taken into consideration. "I just began teaching from a unit entitled 'Climate Change from Pole to Pole.' Though I chose this unit at the beginning of the school year, when I read it again in front of my class I was shocked to read that it was based in Churchill," said Jennifer Pollard, a teacher from the Genesee School in Idaho, who was selected to attend Climate Change at the Arctic's Edge. "It really puts a new perspective on the curriculum when you have such a close tie to it. My students decided I'd have to make a Facebook page, so that I could update them during my expedition this summer." Douglas Foster, Dana Middle School, Hawthorne, Calif.
Mary Lou Alfieri, Marrs Magnet Middle School, Omaha, Neb. Lynda Caiati, CHIME Institute, Woodland Hills, Calif.
Mary Carr, K.D. Waldo Middle School, Aurora, Ill.
Beth Evans, Sutherland Middle School, Charlottesville, Va.
Christina Hambel, Ridgecrest Intermediate School, Rancho Palos Verdes, Calif.
Craig Honda, Paul Revere Middle School, Los Angeles, Calif.
Jeffrey Knutson, Huntington Middle School, Warner Robins, Ga.
Edie Walker, South Gate Middle School, South Gate, Calif.
Steven Showalter, Deep Creek Magnet Middle School, Essex, Md. Gary Bodman, Madison Middle School, Albuquerque, N.M.
Beth Foster, Annapolis Middle School, Annapolis, Md. Christine Campbell, Spring Ridge Middle School, Lexington Park, Md. Charles Brown, Cary Junior High School, Cary, Ill.
Mary Ellen Wolfinger, Takoma Park Middle School, Silver Spring, Md. Julia Dimaio, Baltimore Leadership School for Young Women, Baltimore, Md. Laurie Weiss, Central Middle School, West Melbourne, Fla.
Andrea Nelson, Warrensburg Middle School, Warrensburg, Mo. John McCarter, Valley View Middle School, Simi Valley, Calif.
Carolynn Barthelemy, Sage Canyon Elementary, Castle Rock, Colo.
Earthwatch ( www.earthwatch.org ), one of the world's leading environmental organizations, is one of 26 charities selected by Prince William and Miss Middleton to be recipients of a charitable gift fund. Earthwatch uses a unique model of citizen science, matching volunteers with researchers to investigate some of the greatest environmental challenges facing our planet.